A Little Splurge At Lush. Some times life just gets you down and treating yourself if the only therapy. A few weeks back now my family had received some terribly sad news and it's all taken effect on us all, so while me and Tom had gone holiday shopping I popped into Lush and decided I NEEDED that little treat!? Baths are like a luxury to me, I only have them occasionally when I'm round at Tom's. So I decided it was time to stock up on some bath bombs for when I need that relaxing time in the bath. Unfortunately the only products in this haul that I've used so far, is the Ocean Salt. So please excuse the lack of reviews and just prepared for my first impressions and how excited I am to use them all very soon! Ocean Salt 120g // £7.75 - Of all the products, this is the one I've had a chance to use! Just like any body & face scrub it's intentions is to create a scrub to wash away dead skin and as gross as it sounds, I love the feel of using a face scrub. I've not used one as intense as this one, but honestly it feels so nice to be to feel it, it's like a sign that it's working. Now I haven't been using it long enough to see any lasting benefits (but if interested I'll attempt a post after a few weeks!) but even just a first attempt at this scrub left my skin so smoooooth! Melting Marshmallow Moment 100g // £3.95 - Never smelt this? Go to your local lush as soon as possible and just take a wiff and thank me later! Love christmas limited edition Snow Fairy, this is the exact scent. While were all in terrible distress for 8-9 months when snow fairy isn't available for purchase and while this is in the form of a melting bar instead of a shower gel, it's the scent and that's all that matters, right? I haven't had the chance to use this yet and I've never experienced using a bath melt before. I can only imagine during and after the bath my skin is going to feel extremely soft and well who doesn't love that feeling!? 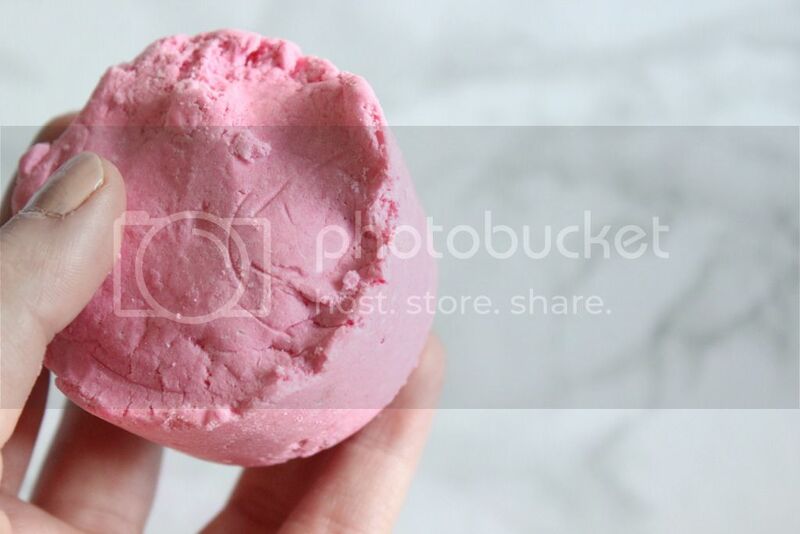 Twilight // £3.35 - If I'm right, the next two bath bombs are pretty popular with many people in the blogging world...and actually partly the reason why I picked them up. Twilight I feel, I might just LOVE! And I was right! I didn't realise how much I'd enjoy my bath from this bath bomb. Admittedly it's taken me a few days to write this post and in those few days I've used this bath bomb as relaxation while I'm sick. The scent I couldn't quiet explain, but the bath itself. At first it was pink and bubbles formed and then it got towards the centre and became blue. Once I'd started my bath, I realised the colour of the water was a pretty purple colour and there was a hell of a lot of glitter shimmering in my bath. And everyone loves a little bit of glitter from time to time! Think Pink // £2.65 - As Think Pink, well this one might just be my favourite. I'm going to save this for a really, really bad day. When my back is aching, I'm moody and exhausted, basically the only times I grab my bath bombs and run round to Tom's house for a bath is when I feel like that...but you get the point! I'm not too sure how to describe this, but it smells so frecking pretty. It's called think pink and all can think is pink, true story!! 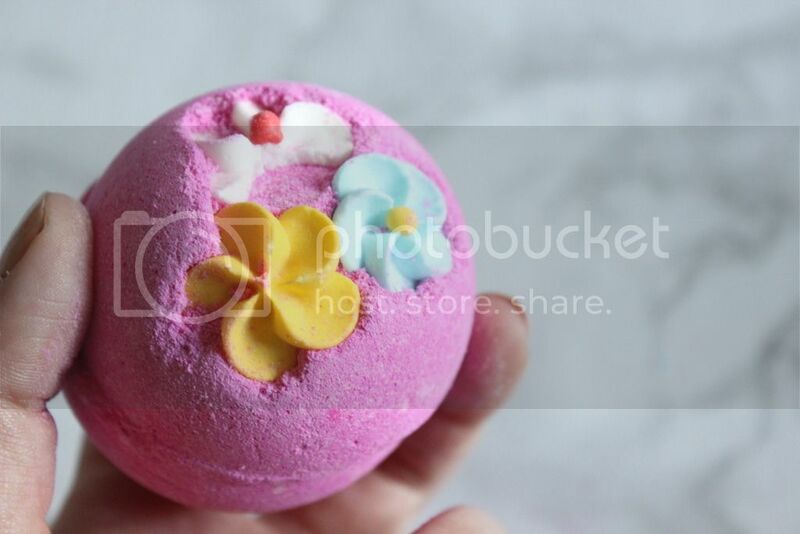 With the flowers on the bath bomb, I guess it's got that floral scent. I'm writing this post in advance, so it's currently 12am, I'm suffering from a terrible cold and all I'd like to do is run a nice hot bath...but that just ain't happening! A little mix between a review and a first impressions I know, but when you only get to use Lush products from time to time it would take me weeks before I could post this. And when you get new products sometimes you just want type away and put it out there...and I kind of hoard some of my Lush products and save them for the much needed times. Each time I go shopping and purchase a ton of Lush products just want to buy more and more and never run out and other times I can't stop buying these products and hardly use them, yep, such a hoarder! 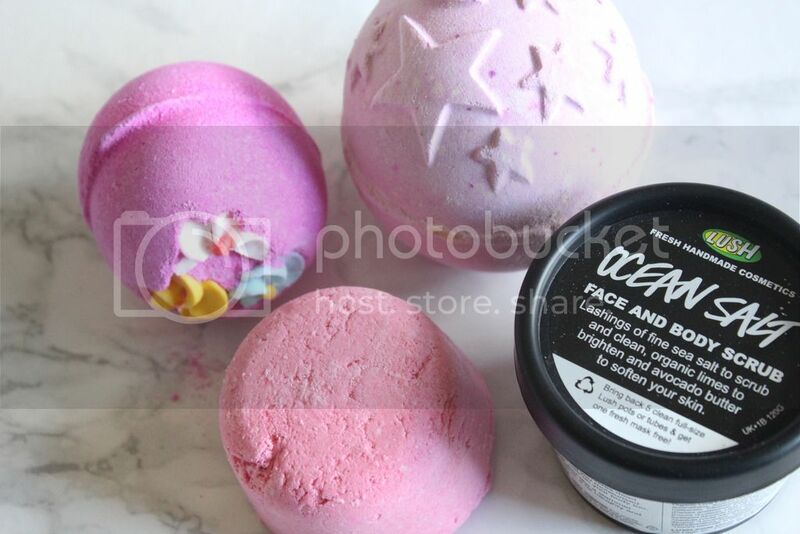 Which products are your favourite Lush product & which do you suggest I pick up on my next shopping trip? I'm exactly the same, so I only pop in now when I REALLY need something. 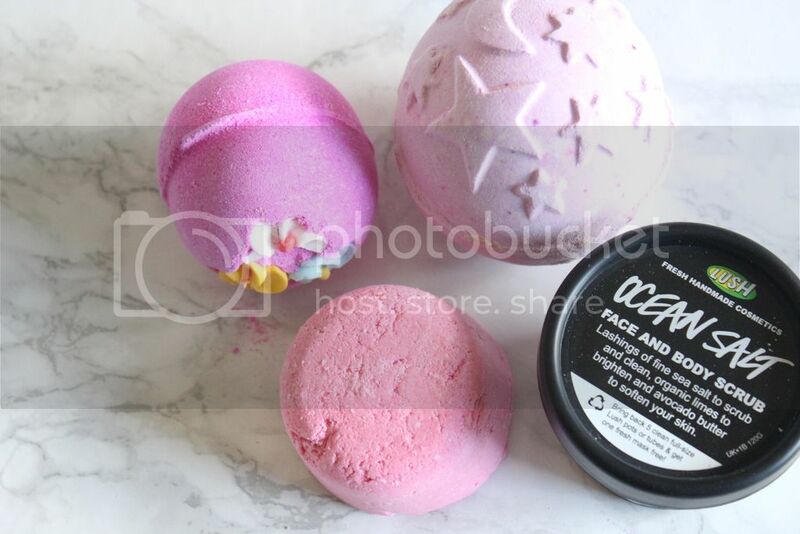 This trip was only for a bath bomb and turned into a haul, oops!? It's still in my stash, I'm yet to try it...but I did love twilight!? Eeep, I'm still waiting to use Melting Marshmallow but I'm hoping I can soon. Ocean Salt is great, I'm almost at the end of my tub now, boo! Great haul, I wish I had a bath! Lol. haha you have the same reaction as me. For a long time I just didn't bother with baths when we had ours renovated but since starting using Lush and my boyfriend having one...I just can't say no!! I think I took some advice from seeing so many others using these products. ooo, I must give it a try on my legs. Bet it's a great combination with D'Fluff too! I absolutely love Snow Fairy and was so sad I never picked any up! I might have to get that bath bar though. It's such a gorgeous smell! Oh wow, I need to try Melting Marshmallow Moment as soon as possible - I need Snow Fairy scent in my life all year round! I agree Lush products are such a good antidote to a bad day: I have a little stash in my bedroom for when a bubble bath is desperately needed. That was my exact thinking, snow fairy all year round YES PLEASE!! Yes, my become like a little stash, one) because I hate seeing them go and two) they're so much more relaxing on those days I desperately need them! You know I love a good Lush haul. I THINK i have Melting Marshmellow in my stash. I need to use it asap if I have. 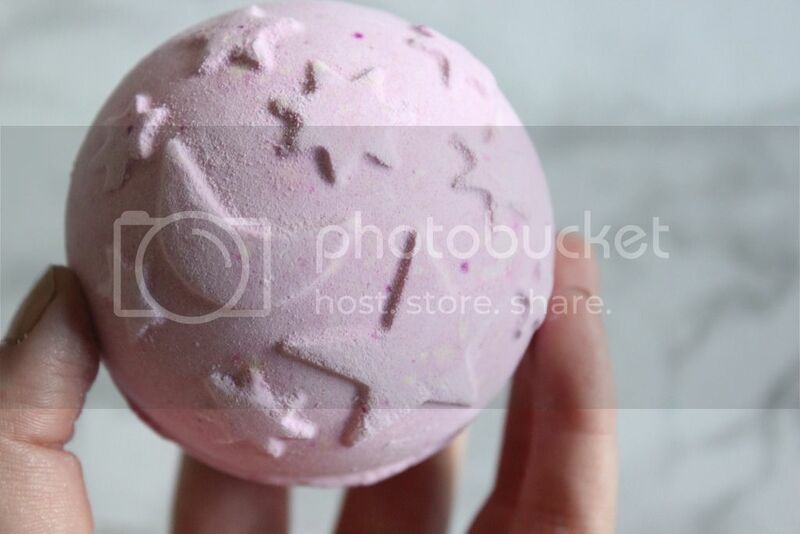 Have you tried the Lord of Misrule bath bomb? It is the greatest thing EVER.